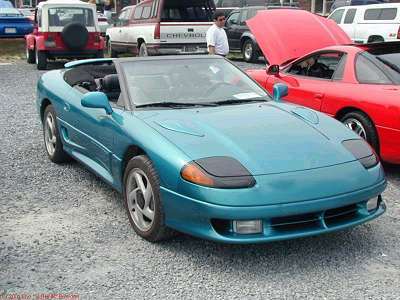 There are an unknown number of Stealth convertibles in existence. I have collected a few pix of them as well as two magazine articles written about them. Enjoy and thanks to those who sent info. If you have info, photos or something else you think belongs here, email it to me. Stealth Convertible magazine articles. (Warning - this is a long download page with almost 1 meg of articles. 8/91 issues of Automobile and Road & Track.